Ford, its WPP agency team, and Happy Finish have created a VR experience called “WheelSwap” in which motorists are transported to a cyclist’s point-of-view and vice-versa. 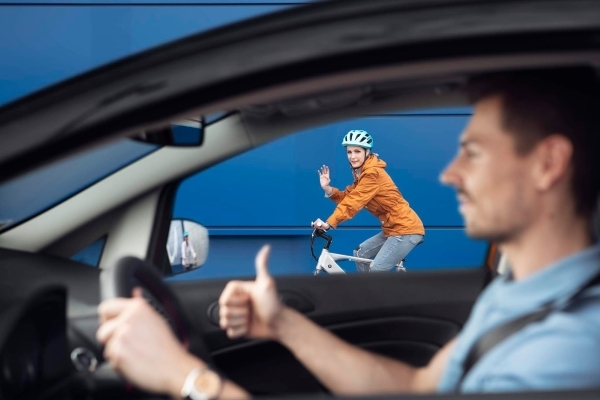 In the cyclist’s point-of-view, motorists experience how scary it can be when drivers overtake too closely, swerve without indicating, and open car doors without checking for bikes. This is the second time a VR experience by Happy Finish has been included in the program. “Reality Check”, a VR app that educates users on the dangers of getting distracted behind the wheel was included in Driving Skills for Life courses globally back in 2017 and has been a regular feature ever since. WheelSwap is also part of a larger Ford cyclist safety campaign called “Share the Road”. This pan-European campaign was launched in late May and there are plans to roll it out in other regions including North America and Asia-Pacific.